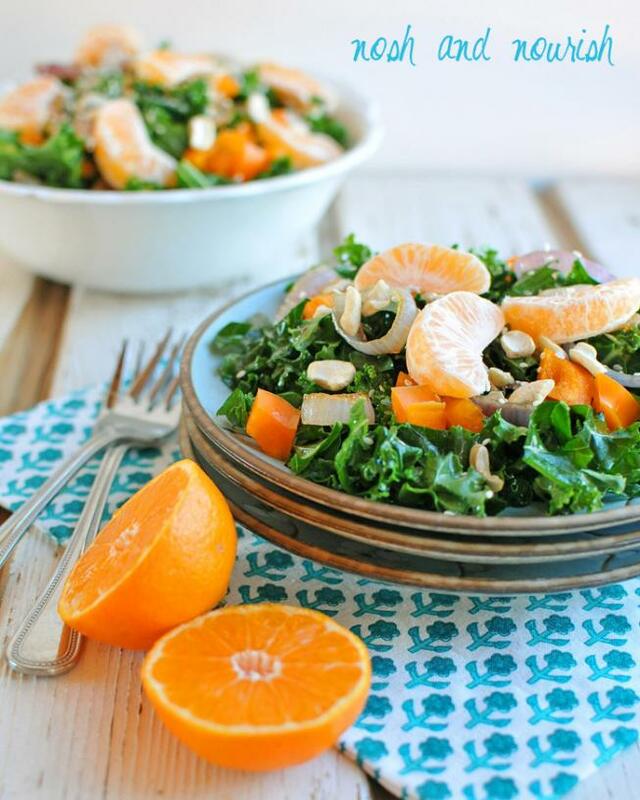 Goodbye Winter, Helllllllllo Fabulously Fresh Spring Salads! 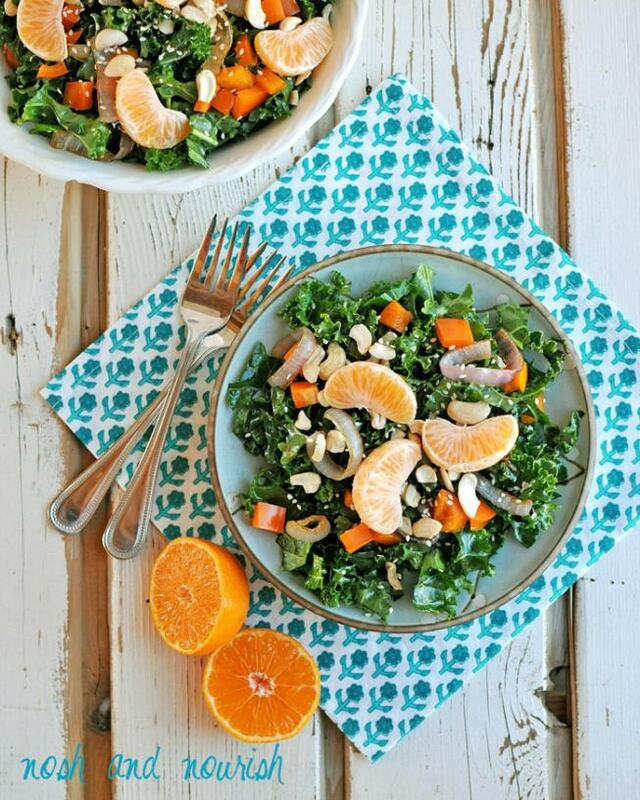 Whether you ushered in the first official day of Spring last week with warm temps and sunshine or your state is still stuck in blizzard-mode for a few more weeks, these bright, colorful, and fabulously fresh salads will help you get into the Springtime mood in a flash. 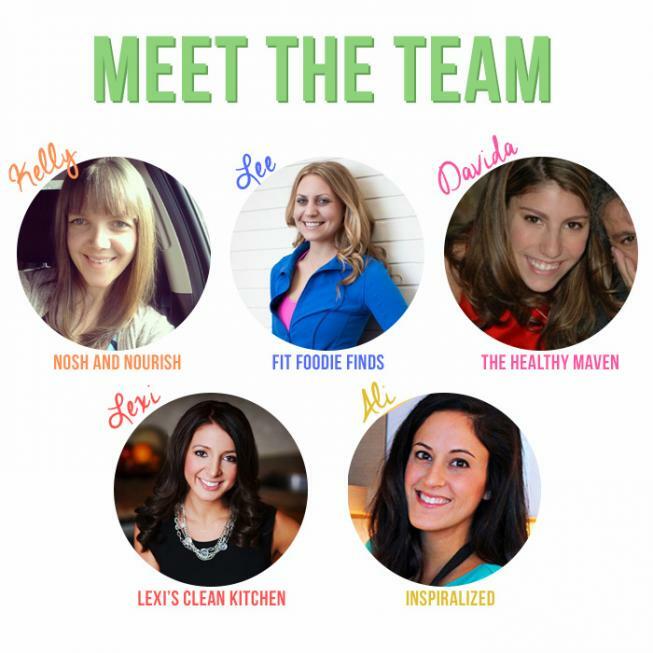 Clementines, strawberries, blueberries, carrots, bell peppers, avocado, and cucumber? Don't mind if I do! With more fresh fruits and veggies at the supermarket (and lower pricetags to go with it) Spring is a great time to eat healthier and shed some of those winter-induced pounds. These salads and homemade dressings will help you do just that! Chinese Chopped Salad + Orange Sesame Dressing by yours truly. 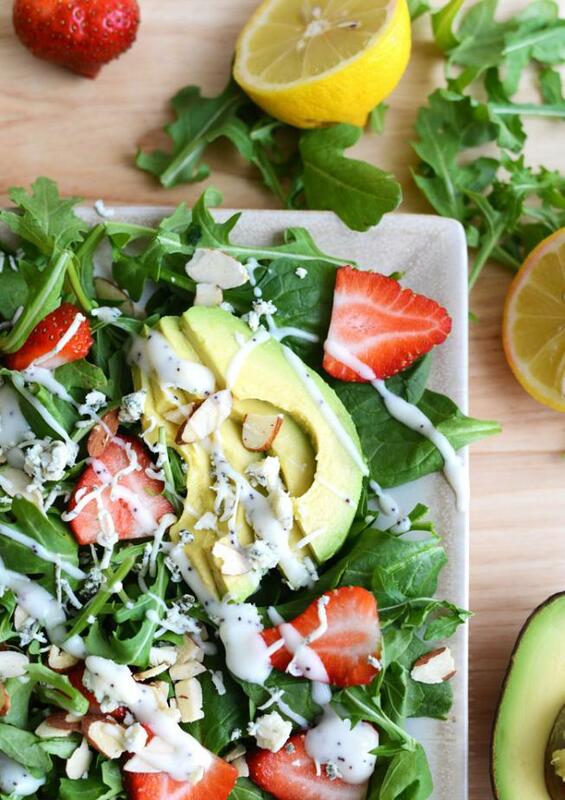 Strawberry Arugula Salad + Poppyseed Dressing by Lee @ Fit Foodie Finds. Nothing says Springtime quite like sweet succulent strawberries, zesty lemon juice, and arugula. It's like strawberry lemonade that you eat! 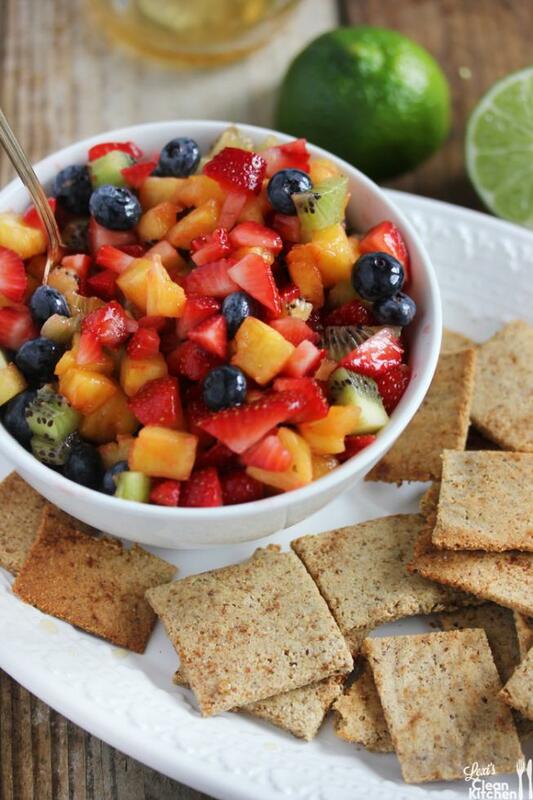 Honey Lime Fruit Salad + Homemade Cinnamon Sugar Chips by Lexi @ Lexi's Clean Kitchen. 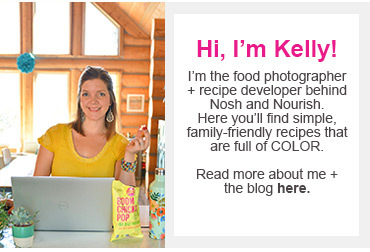 OMG...It's hard to concentrate on all those colorful chopped fruits drizzled with honey when I'm tempted by homemade (paleo) cinnamon sugar crisps!! 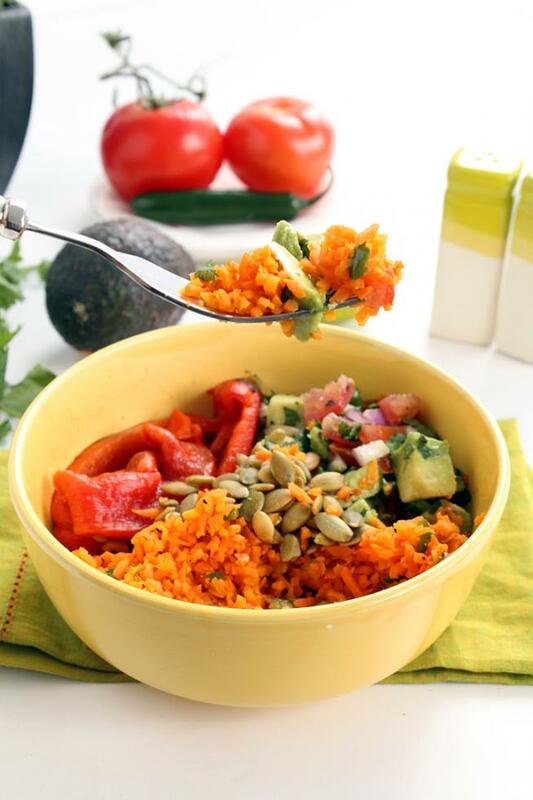 Jalepeno Carrot Rice Salad w/Avocado, Roasted Pepitas, & Charred Red Peppers by Ali @ Inspiralized. Who says a salad needs lettuce anyway?! 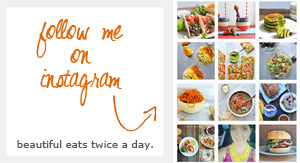 Full of colorful favorites including carrot "rice", this salad is both nutritious and satisfying. 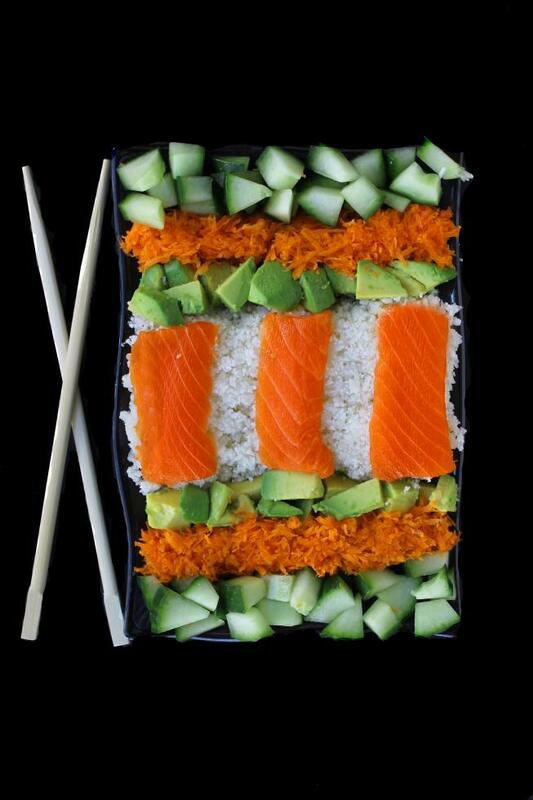 Sushi Salad with Cauliflower Rice + Carrot Ginger Dressing by Davida @ The Healthy Maven. I think I might eat anything doused in carrot ginger dressing. And rice made out of cauliflower?!?! Genius! And just one more pic of my Chinese chopped salad -- because it's so darn photogenic! In a skillet over medium heat, sauté the sliced onion with maple syrup for approximately 8 minutes, flipping halfway through. The rings do not need to stay intact. However, you do want the onions to caramelize and get slightly brown, but not burn. Combine the sesame oil and kale in a large mixing bowl. Gently massage the oil into the kale leaves by hand for approximately 2 minutes. This helps reduce the bitterness and soften the texture of the kale. Add in the remaining salad ingredients, including sautéed onion. In a separate bowl, combine all dressing ingredients and whisk to blend. Toss dressing over salad (you may not need all of it) and mix thoroughly.